I cannot tell you how many times I have nearly tossed my cookies (literally, threw my Oreos at a TV screen) when I see a rail thin celebrity doing an interview about getting her body back after having a baby. As a mom who is still struggling to lose the baby weight from my first baby (although she’s only 249 months old, so cut me some slack), it makes me feel so inadequate that in a matter of weeks after the birth of a baby, I’m not in a size 0 pair of jeans. Thank you, Bryce Dallas Howard. I know there are celebrity followers who are going to say something nasty about this girl, but I want to just hug her. She has spent the four months since welcoming her beautiful baby girl being a mom. There’s no trainer turning up on her doorstep at the crack of dawn to help her work out while her private chef is whipping up low fat, low calorie protein shakes, gourmet soups and salads, and other starve yourself thin foods to help her get back to her svelte self. And I totally love her for that. 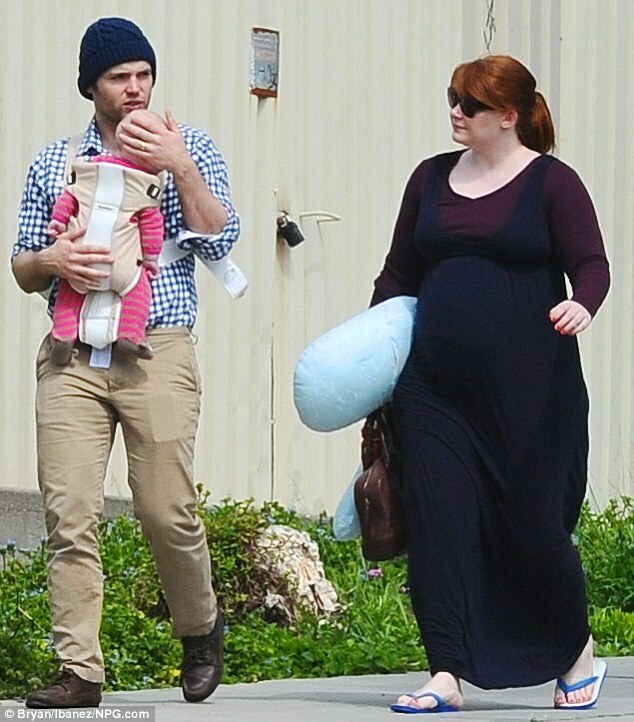 I don’t personally know Bryce Dallas Howard (although, Bryce, hit me up, honey, anytime), and she may very well be struggling on levels I completely understand, I so admire her for coming out and about in her brand new mommy body. This is what most moms look like four months after giving birth. We’re tired from being up all night feeding new babies, and we probably order more take away food than would normally be healthy, but our focus is on our babies, not our bodies. Bryce, you are so gorgeous – at this size, and every other size. I can’t tell you how much better you make me feel about wanting to spend those first precious months with my baby and not my fitness trainer. And if the time comes that you want to lose weight FOR YOU, cash in. If Jessica Simpson can get $2 million from Weight Watchers, see what Jenny will do to top that.